Axon Flex camera from Taser can allow police officers to record everything they see. Could Head-Mounted Cameras for Cops Help Protect Citizens’ Civil Liberties? This post originally appeared on IEEE Spectrum’s blog Tech Talk. Taser has gone beyond stun guns by betting its future on a head-mounted camera worn by police officers. The 3.2-inch camera aims to help police departments reduce the use of force and defend against lawsuits regarding police brutality—as long as they can figure out camera-use guidelines that maximize oversight of police behavior while minimizing police surveillance. 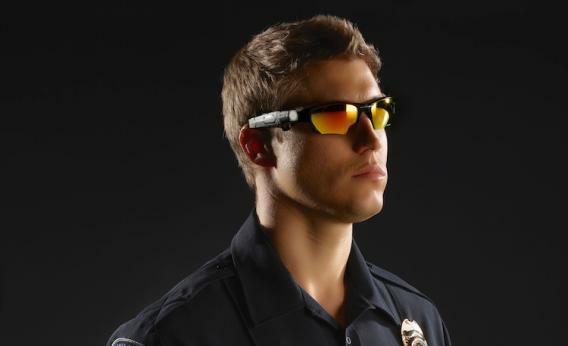 The new Axon Flex camera can clip onto a police officer’s baseball cap or sunglasses and operate continuously for up to 12 hours, according to a feature article by the Verge that coincided with the camera’s official debut on April 5. But the camera only begins active audio-and-video recording when the officer presses a small button on the control unit. The captured footage includes 30 seconds of video (without audio) from before the button is pressed. Any recordings get uploaded to a website called Evidence.com when the officer plugs his Axon Flex control unit into a docking base. That allows officers and administrators (high-ranking officers) to label and edit video files, even as the system records the user’s login information and tracks the time he or she worked on the file. Video recordings stay in the system for only 180 days before being erased, unless they are used as evidence. Such cameras could pay off for police departments by providing huge cost savings when defending against lawsuits, said Scott Greenwood, a national civil rights lawyer based in Cincinnati, Ohio, in an interview with the Verge. On the other hand, Greenwood envisioned a new world where judges would only consider police officer testimony when the officers could provide video to back up charges against defendants. The new Axon Flex camera helped the Rialto Police Department in California dramatically reduce the number of “use-of-force incidents” and complaints during a yearlong trial that began on Feb. 13, 2012, according to a new study touted by Taser International. Chief Tony Farrar of the Rialto Police Department conducted the study as part of his graduate degree thesis at Cambridge University in the United Kingdom. But turning every police officer into a walking version of the show Cops also comes with privacy risks and possible abuses of power. Greenwood emphasized that police departments must set up guidelines that let officers know when they should or should not use the cameras. For instance, police officers might be instructed to always turn the camera on when responding to certain scenarios, but would otherwise leave the cameras off to avoid extending police surveillance to ordinary citizens in normal circumstances. Taser’s venture into the new world of policing comes at a time when its fortunes have continued to rise and fall based on the controversy surrounding its flagship stun gun product. The stun gun’s huge success in lowering the number of lethal confrontations between police officers and suspects has been marred by safety concerns surrounding a string of deaths and alleged cases of police brutality over the past years. If Taser’s Axon Flex camera can encourage better policing and discourage abuse of both nonlethal and lethal force, everyone might end up feeling safer in the end.